RALEIGH – While most people are familiar with Venus flytraps and their snapping jaws, there is still a lot that scientists don’t know about the biology of these carnivorous plants. Researchers have for the first time discovered which insects pollinate the rare plants in their native habitat – and discovered that the flytraps don’t dine on these pollinator species. 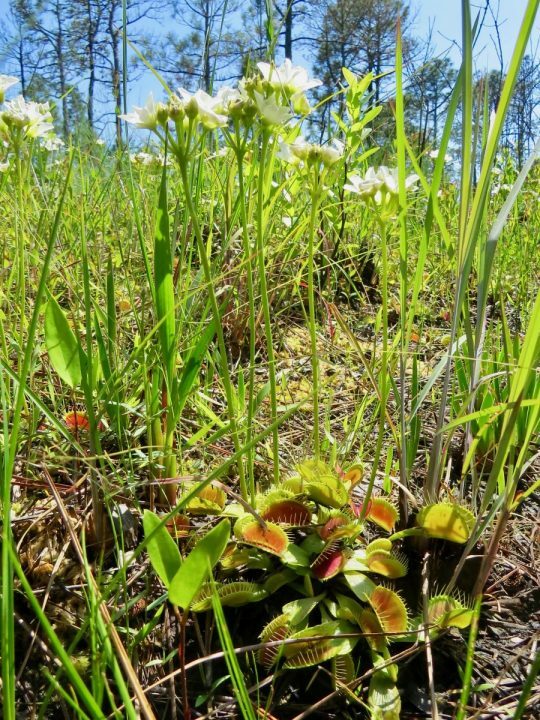 Venus flytraps (Dionaea muscipula) are in a genus all their own, and are native to a relatively small area, restricted to within a 100-mile radius of Wilmington. “Everybody’s heard of Venus flytraps, but nobody knew what pollinated them – so we decided to find out,” said Clyde Sorenson, co-author of a paper describing the work and Alumni Distinguished Undergraduate Professor of Entomology at N.C. State. To that end, researchers captured insects found on Venus flytrap flowers at several sites during the plant’s five-week flowering season. The researchers identified each insect and checked to see if they were carrying Venus flytrap pollen – and, if they were carrying pollen, how much. Out of about 100 types of insects found on the flowers, only a few were both common and carrying a lot of pollen: a green sweat bee (Augochlorella gratiosa), a checkered beetle (Trichodes apivorus) and the notch-tipped flower longhorn beetle (Typocerus sinuatus). 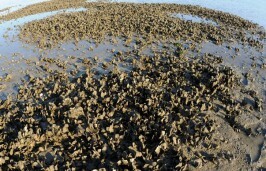 The researchers also retrieved prey from more than 200 flytraps at the study sites. The three most important pollinator species – despite being found so often on the flowers – were never found in the traps. But other factors may also come into play. Researchers also plan to investigate additional Venus flytrap sites to see if the plant relies on these same core pollinator species in other parts of its native range. “We also want to learn more about the flytrap’s pollination biology,” said Rebecca Irwin, study co-author and a professor of applied ecology at N.C. State. “How much and what kind of nectar do they produce? How much pollen do they need to reproduce successfully? “And we know that Venus flytraps need periodic fires in their native habitat in order to thrive, but how do these fire events – and their aftermath – affect the plant’s reproductive success? There is still a lot to learn about these plants and their pollinators,” Irwin said. 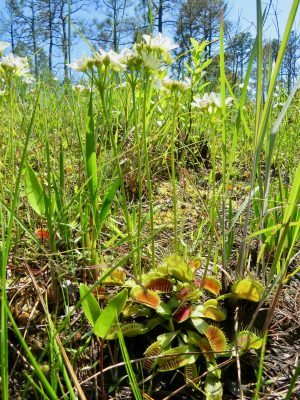 The paper, “Venus Flytrap Rarely Traps Its Pollinators,” was published Feb. 5 in the journal American Naturalist. 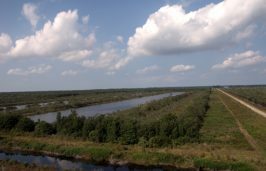 The paper was co-authored by Michael Kunz of the North Carolina Botanical Garden at the University of North Carolina at Chapel Hill; Dale Suiter of the U.S. Fish and Wildlife Service; and Alison Fowler, Sara June Giacomini and Matt Bertone of N.C. State. The work was done with support from N.C. State University. Matt Shipman is research communications lead at North Carolina State University. Matt covers the College of Humanities and Social Sciences, the Poole College of Management and the College of Engineering for the university's News Services, including NC State News. He also a freelance writer and communications consultant, a contributor to Health News Review, author of the "Handbook for Science Public Information Officers" (University of Chicago Press, 2015), and contributor to "Science Blogging: The Essential Guide" (Yale University Press, 2016).